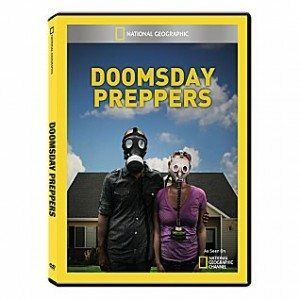 Without a doubt, NatGeo’s “Doomsday Preppers” has it all: quirky people, shock value, spooky music, and kids wearing gas masks. What more could mainstream America ask when it comes to reality TV? I guess it’s no surprise that the show has lured 4 million viewers each week and has already started casting for additional seasons. The show goes out of its way to show most of its subjects as paranoid and goofy. Each set of characters is assigned a doomsday scenario to prepare for. In my case (I was in the pilot episode), I was assigned hyperinflation as my main concern. Others have been portrayed as preparing for an EMP, nuclear attack, pandemics, and government takeover. After putting their subjects through their paces, along with odd camera angles, lighting, and sound effects, the efforts of the preppers are usually undermined when the narrator says something like, “Our experts say that the possibility of this doomsday scenario are 1 in 5 million.” The preppers are left hanging out to dry. In spite of NatGeo’s best efforts at making preppers look unhinged, more Americans than ever are jumping on board! 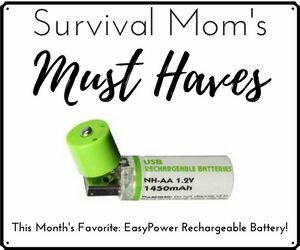 Is it because they, too, want to be labeled as kooky preppers, or, more likely, does survival and preparedness make a lot of sense now more than ever? I believe it’s the latter. Prepping takes time, money, and attention. There’s nothing easy about learning to can or start a garden or passing an amateur radio operator’s test and what could be less glamorous than learning how to butcher a chicken or suture a wound? 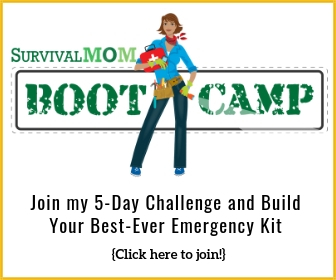 If “Doomsday Preppers” is reaching some 4 million viewers each week, and we already know that at least 3 million preppers lurk among us, then it’s no wonder that this movement has grown far beyond a fad. It’s a reflection of the high level of concern average Americans have for their futures. They have good reason to be afraid. It’s obvious to anyone paying attention that the need to prepare goes beyond just buying bottled water and storm shutters. Economist Marc Faber now believes that a global recession is 100% certain. Youth unemployment is the highest its been in decades. Food prices continue to increase. Where’s the good news? Smart people are putting 2 and 2 together and arriving at the conclusion that the government is incapable of having the right answer. They are on their own. So in spite of the kook factor, in spite wondering what the neighbors might say, and in spite of the effort involved, America is saturated with “Doomsday Preppers.” I’ve received emails from people letting me know they are proud to be preppers after watching an episode or two of the show. I wonder if the DDPreppers idea originated inside Nat Geo or Fox – while the channel is branded Nat Geo, it’s a partnership of Nat Geo and Fox. I don’t know for sure about DDPreppers, but I know that production companies are constantly pitching show ideas to networks once they have filmed a pilot episode, usually. I’m assuming that after NatGeo saw the interest in the show, they picked it up for additional seasons. I heard they are already casting for their third season. This show on not on anymore on Tuesday evenings. Did they put it on a different channel or time that I am not seeing. I love this show! It’s probably off the schedule until they’re ready to air the second season. @ J. Acevedo …… I dont know so much about that. SouthernPrepper1 was probably the most prepaired of all that I saw and yet the “experts” still tried to shut him down. What turned me off was them saying… well these folks dont want to take our experts advice. What makes them experts? Just because you say you’re an expert doesn’t mean squat. I’d take someone with prior military training over these so called experts on my team any day. This NatGeo show is yet another obvious attempt to make anyone and everyone look foolish who thinks for themselves and doesn’t just blindly believe everything our liberal leaders tell us. Those who would control us all have operated this way for centuries. To control the masses, they must first of all brainwash them. This is done in the schools, where they begin the conditioning of our children at a very young age. Once they have the people agreeing with them, they then have them register all of their firearms, eventually disarming them all. Of course, they insist that everything they do is for the citizen’s own good! Anyone not toeing the line and going along with the crowd is — at first — called names and made to appear foolish (“crazy birthers” and “kooky preppers.”) Those who still won’t toe the line can expect more dire consequences somewhere down the road! This is why I do NOT laugh at the pathetic efforts of the liberals behind organizations like National Geographic. I take them very seriously, because there is nothing funny in their goals and their intentions. What makes you reserve your concern about brainwashing for the liberals alone? Personally when I hear someone who’s working a couple of part-time jobs to keep their families fed, clothed and sheltered saying that people like Romney who let their money do the work for them Deserve to pay less taxes because they earned it… Well I just want to swallow my teeth. Talk about brainwashing. They are All guilty of it, not just the liberal parts. Leaders are looking for followers whether they are liberal or conservative. Do not fall into the trap of being so worried about liberal leaders that you allow conservative leaders to grab your nose and take control of you. They are ALL suspect. I’ve watched the show, and I think it’s obnoxious that the show touts “their experts” all the time. WHO are these so-called experts? And are they really experts in preparedness, or are they just trying to make the preppers look silly? I’m interested in what people are doing to prepare for disasters, but I think that the producers of the show are being condescending to those who agree to be on the show. I agree 100%. There are far too many variables, along with things the experts don’t know about the individuals involved, to make those blanket statements. The moron who assessed us and criticized us for not having a bug out location and planned evacuation routes clearly doesn’t know what it’s like to live in the middle of hundreds of miles of desert in every direction. The only way to get out is to leave before anyone else does, and since there are only 3 highways leading out of the city, even THAT would be dicey. I do not like the “experts”. I feel that the only expert on anything is the one who has lived in the area. Knows what their limitations are. I saw the pilot and two preppers are in the same area as myself. Now, when the “expert” critized that neither of them had planned well enough for this or that. I was completely annoyed. 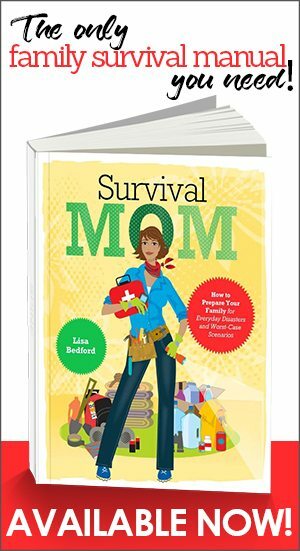 I loved how “TheSurvivalMom, told them, how it is here. There are only 3 major ways out of this city and you will not want to be stuck on any of those routes. I ignore the “experts” when I watch the show. I just watch to get new ideas, see what I may not be thinking of and to get inspired. If it were not for the pilot, I would never had realized I was not alone in my feelings and thoughts. I now encourage my family and friends to get some things extra. I tell them when this or that is on sale and a good time to go get it. If I can get more people to start to prepare, the better our area will respond in a time of need. So maybe now the gov’t will listen a little more that they realize they may not have all their puppet strings in place. Yours are the very reasons I enjoy the program also. 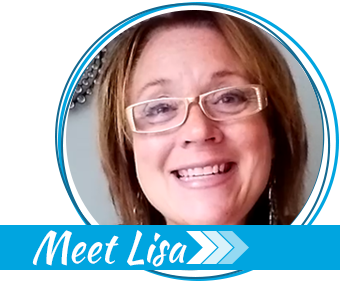 And I really admire this lady for all she does – AND getting it on a website for others. THANKS A MILLION AND YOU GO GIRL! I love the show, and feel that despite the efforts of the producers, most Americans got the message. The next “Great Depression” won’t be your grandparents/parents depression. People in America have not necessarily changed for the better in some ways.The show also points out that to be prepared and not need your supplies is much better than to need things that are not able to be had. I think OPSEC is prudent for all of us, so I don’t think that a lot of the preppers are flying under their true colors-it is a tv show! I wondered about the so called experts too. Who are they and what have they done to be an “expert”?? IN the end, anything that can get people (worldwide) to start preparing for the future, and start questioning the elites in charge is a good thing! Why would any prepper go on that show? Doesn’t that kinda of ruin Opsec? Hey America, come loot me. I have gold and silver in my house too. While I love the show. I prefer to be anonymous to my neighbors. I watched Doomsday Preppers ONCE… it happened to be an episode where survival gear was being sold at a ‘home party,’ like Avon. Seeing a gas mask presented to a group of women who would normally be drinking wine and munching on cheeses at these type of ‘marketing parties,’ sent me running for the remote. But then one night I was talking to my cousin, who is also a prepper, and she mentioned the show, and said she does get some really good ideas from it. oh wait… there’s a blog for that. Yes the show promotes extremes, but that is what makes people sit up and listen. If people do nothing else, get a 72 hour kit together. I have seen in our area of CA several occasions, both natural disasters and man made events that people had to leave NOW. Some thought they would be out of their homes for an hour or two and it turned out to be three days. People have been stuck on a main freeway, with no way to exit, no water no food. So, get your 72hour kits, water, water and more water. Iif you take medicine, have some of that ready for a few extra days also. Be ready to take care of yourself, family and those that cannot help themselves. I have to agree with Josh–that is my issue with it also. I totally don’t understand why they want to go on the show and advertise what they’re doing! I liked the show and was able to find much useful information. That’s what counts and kudos to everyone who had the courage to appear and share. If it gets just one family thinking about what it can do to be prepared in today’s uncertain world then that’s a positive thing. It amazes me that there’s such a push to make preppers out to be loonies and that they’ve been added to the watch lists. This was what our great grandparents did. This is how my great grandfather not only survived the Great Depression, but assisted others in surviving it. The problem we face with a possible new depression is that the skills are gone. The base line self sufficiency that still existed in many areas of the nation are gone from practice and poo pooed by people in positions of power. It truly makes you wonder why. People are encouraged to buy insurance but warned against storing more food than a week or two’s worth? Knowing that our delivery system is as needed or by demand… It boggles the mind from a logical standpoint. Especially when one runs counter to the other as the case is between Fema and CDC preparedness campaigns on the one end and Jeff Foxworthy-esque “you might be a terrorist” definitions. Fortunately, despite all of that, it’s good to see that people are still overcoming the attempt at stigma. I wonder if it’s the better to have it mentality, or simply the lure of realizing the safe zone creation – having breathing room…. buffer space that is worry free in that ‘if I lose my job, we don’t have to shop for anything but the immediate perishables for at least 6 months and can put that money elsewhere’ or the ‘we have the emergency fund to cover bills while we look for new jobs or start our own business’ aspects. This is one of the things the wealthy won’t tell people. Prudence, planning and preparation… living strategically, is what will gather wealth and success to you, not to mention piece of mind. I was reading the comments on another website, can’t remember which one. It was after the first episode of the season with the family that lived in the shipping container fortress, someone commented that they found their place on Google satellite and that if anyone wanted the coordinates to send them a private message. I was appalled by this. These are the other type of people watching the show. it has gotten more folks “getting ready” in case …. The shows have given me some great ideas including finding this blog. It has also made me a little concerned about the doors to my house having so much glass. If we get hit by a tornado or something worse, i really worry. We live in a rental so changing doors is not an option. I agree about leaving Phoenix in summer. A better option would be to have another family to help watch your back. Two people have recently died around Tucson from heat and dehydration. I haven’t watched the show yet (I admit I have kind of been avoiding it! ), but this post, and the comments have me intrigued. I think I need to start seeing what all this doomsday prep is about. I consider myself to be adequately prepared for a few things, but I’m definitely not prepared on the scale of the people going on this show! I don’t watch it either, Emma. I’ve seen maybe 5 or 6 individual segments, and that’s it. I watched several episodes, and I agree the slant of the show was to make the preppers look silly and extreme. But I expected that, and just ignored it. The “experts” did have some valuable nuggets of wisdom in there, and so did the preppers. I will definately watch the next season. For me, being new to this, I am learning by watching the show. Because of those who went on, even if just once I learned how to become better prepared. It has also gotten my husband more on board. So there is an upside to the show. There is a downside too. If you go on, you put a big target on yourself. You have to be a special kind of brave to do that. Or some would say a special kind of crazy. But, on one show, a family in GA hit a cord. The man sat there and spoke directly to the camera and said, “what are YOU going to do? How are YOU going to be ready to take care of your family? Get up and do something about to take care of yourself.” Along those lines. I liked how truthfully he spoke. He was telling people to stop waiting for someone to save them. Only you can save yourself from a fate unknown. I have lived through a car accident I should not have. It was then I think I began to prep a little. Because when you are in the middle of no where and fighting for your life, you begin to try to not repeat that feeling of being helpless. But you all know what I mean, you all prepare so I say this. Don’t tell everyone what you are doing, but show them how to have some things on hand. Keep nagging at the brother who thinks you have lost your mind. Because secretly, I think they don’t want to admit, they fear what lies ahead too. This won’t be our grandparents Depression. This will be a whole new TEOTWAWKI! And, not one for the faint of heart either. I remember watching you on TV! Specifically remember the silver quarters. I think it is very wise to prep for the future. Unfortunately, my husband and I currently live in Hong Kong where it is impossible to prep much in a 550sq home. But I do keep lots of water on hand. How was your reality TV experience? We were on House Hunter International, and while it was an interesting experience. I would not want to be on TV again. You have to expect that any network is going to skew the view of their guests in the manner that best makes the network profit. You just have to watch with the idea of getting the information the guest wishs to get across to the viewer and dump the rest. While going on national TV to show your prepping arrangements is certainly not the best idea, its the risk you accept for educating the public on the topic. I for one, thank everyone who put themselves out there to inform the masses. I also agree that the “Expert” evaluation should be taken more as a suggestion and not as a failing. Not everyone is in the same situation and able to afford large arsenals, shortwave radios, large masses of food storage, alternate bug-out locations, etc. You do the best with what you can, and that’s all anyone can do. I for one cannot afford an alternate bug-out location, so I work as best as I can to prepare to bug-in. My biggest concern at the moment is a Get-Home-Bag and a easily storagable weapon to get to my bug in position where I have my main stores. Not being able to afford all the extras is the one reason I suggest you try to network with other preppers if possible. I’ve seen just about all the shows. I’ve often wondered about how these folks picked what their shtf sensation was as some really didn’t make a lot of sense. Some of the folks were kooky and bizzare. I did get a lot of info off of the show. I know that natgeo was at the self reliance expo in Colorado springs last week and that they didn’t get a lot of interest in being their show. I’ll be watching for them in Dallas next month. I’m really not impressed with their expert panel. They are a real consulting company. I wouldn’t pay for their advise. Keep up the great work. While there are some odd things on the show that Im not sure I would want to or could even attempt to do, overall it got me interested in prepping what I CAN… and it got me thinking and going to great websites like THIS ONE! Just remember that when watching these type of shows, that sometimes they also show what you should not do. Which can be just as important as what to do. I don’t have the Nat Feo channel, but hopefully the more folks that watch it the more will be prepping. And that means fewer folks after my stuf! this show is about to be aired here in latin america and I’m really interested because my family and a group of friends are getting ready for watever is to come here in Colombia so is nice to know there are people already doing this because is a fact that rich and powerful people are doing the same and they would not be expending money on some “weird” investment if they didn’t know that something is going to happen. Have found this website and enjoyed the interesting comments.The one that struck home most was the loss of skills our forefathers had. I consider this the most important part of being prepared for anything. Anyone can buy kits for this and that but the true prepper knows how to do it themselves. Personally, I’ve calculated the odds of hyperinflation to be nearly 50/50. The alternative is stagflation. Between the two, you have nearly 100% odds of a really bad situation. The average American doesn’t need an expert to tell them that grocery prices will continue to rise and government will continue to become more intrusive. Odds:100%. The reason we study history is not to avoid the mistakes of the past, but to learn what will happen because one thing is certain, history repeats itself – over and over again. Prepping is a bit unhinged, I’m sorry. Not the idea to be prepared, or the ways people prepare. Some are ingenious actually. Makes makes the vast majority of serious preppers unhinged is spelled out clearly in most every advocate article. The belief that the civilized world is about to implode, based wholly on hearsay, anecdotes and email chain letters from people they know little or nothing about. If preppers spent 1/100 of the time learning about the world around them as they did preparing for the end of it, they would understand how silly their make believe fears are. If you all want to be prepared fine, but don’t mind the rest of us who are going to keep the lights on for you to play out these fantasies. The writer said that NatGeo’s goal was to keep people from changing the channel proves what I have said many times–It’s all about the dollar bill. There is no altruism there that’s for sure. Is there any other way to get the book instead of Amazon ? Will the book be sold in bookstores? Yes, you can get it in bookstores. If they are sold out, they’ll order it for you. Well said Jeff. I agree 100%. I thought preparing for Y2K was a good idea. I hope the prepper thing is not another fad that people embrace, then give up when it’s not cool any more. I entirely agree with being prepared, just don’t have the means. N.G. has not made you all look like nuts…I pray you don’t give up because it doesn’t happen, because it still may. But trust God and defy media. But the show uses your names, locations, businesses, secrets, faces, children, how secure is that? The people who went on Doomsday Preppers, for the most part, did it to try and inform and encourage. It was the producers and network that decided to make a circus out of their lives and, in many cases, misrepresented them. As far as security goes, these folks have faded from the limelight and gone on with their lives. It’s possible someone has remembered their names and location if there ever is a collapse or something along those lines, but then again, people have short memories.